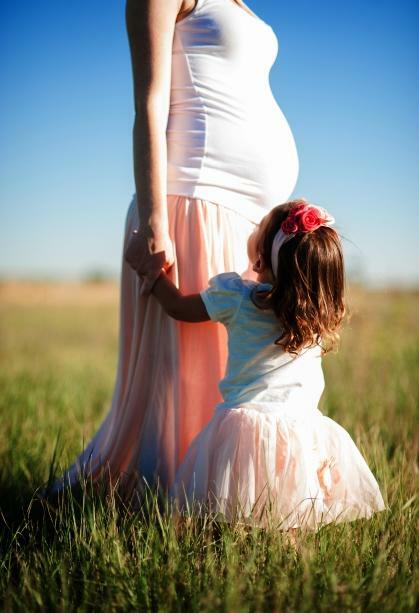 Do you want to feel supported during your Pregnancy & Motherhood Journey? The Club @ NurtureMamas, the NEW Monthly Membership Club for those thinking about Pregnancy, Mamas-To-Be, and New Mamas! Enjoy your Pregnancy, Prepare for a Kick A*s Birth, and feel confident on your Motherhood journey :-) The Club opens on Friday 12th April! The Club - your monthly online membership for a healthy Pregnancy & Kick A*s, Rockstar Birth! Everything you need to feel physically & mentally amazing during Pregnancy, & feel fully prepared for your labour & birth. Having a strong body and mind will make your pregnancy easier, your labour shorter and your recovery faster! Each month you'll receive a specific Prenatal Yoga or Exercise video, a beautiful relaxation, and tutorial helping you with all aspects of Pregnancy, Labour, Birth and Motherhood! By the end of the wonderful Postnatal Recovery Program, you will be strong in the body and mind once again, allowing you to feel nurtured, restored and more like yourself. You'll be able to be the best Mama you can be, and enjoy your little bundle! Just wanted to let you know that I really did use what I learnt on the course during my labour. It helped so much that I actually fell into a very peaceful sleep for 2 hours at 3cm dilated, woke up rested and relaxed at 8cm and was at 10cm within 30 minutes after that. My beautiful baby girl arrived swiftly thereafter to a very calm mama ready to give her all the hugs and love in the world. I really can't thank you enough for a great course that informed and empowered me to relax into, enjoy (yes enjoy!!) yet take control of my labour. Thank you!!!! 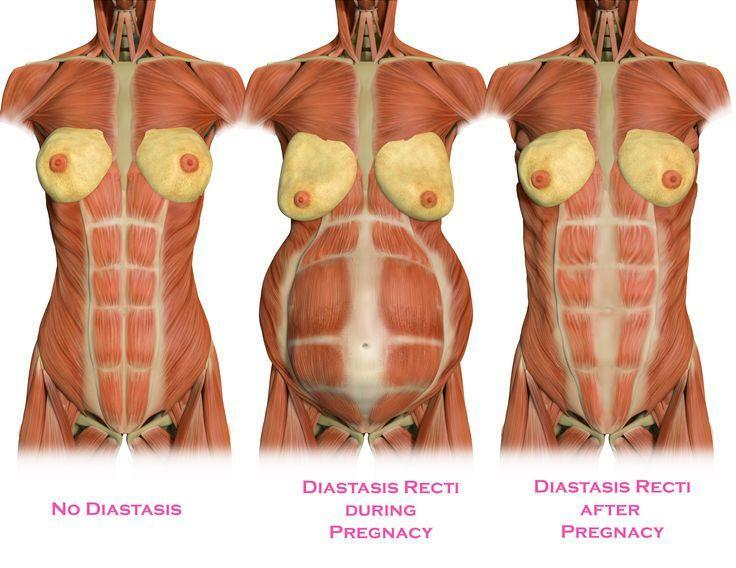 Diastasis Recti (D.R.) is a separation of the main abdominal muscles at the front of the abdomen. They become stretched during pregnancy because of the internal pressure of the growing baby. For many women, they really don't know if they have it but may be suffering postnatally from back or pelvic pain, mild incontinence, or just have a 'pooch' belly that they can't seem to shift potentially for years after having their babies. This easy-to-follow program is a series of 10 progressive exercises to help you heal & get strong from the inside out. Listen to how the course helped Angela feel amazing during her Pregnancy, and how it helped her so much during both labours. In February 2018, 15 global-leaders shared their expertise across Pregnancy Wellness, Empowering Birth and strategies to help with your new arrival. 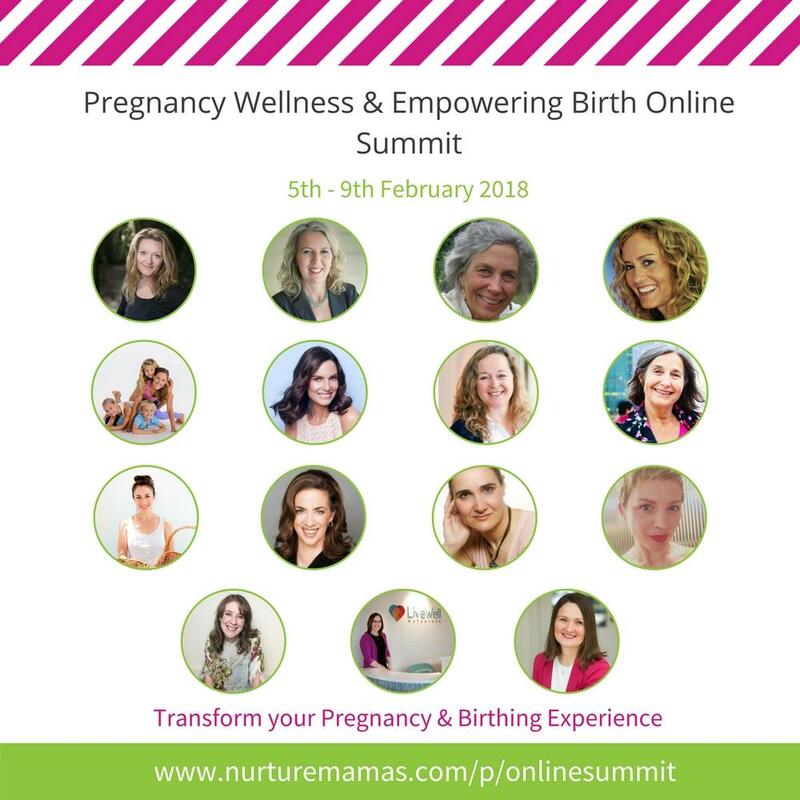 Topics discussed in the 20 videos were: Breastfeeding Preparation, Hypnobirthing, Natural Birthing rationale & techniques, Positioning & Breathing Techniques for Birth, Sleep, Yoga, Nutrition, Fitness, Pelvic Health, Acupuncture, how to have an Orgasmic Birth and a whole lot more fun! There are also 5 Yoga sequences and 3 beautiful guided meditations included :) Get Access Forever Below! Hey, I’m Helen, welcome to NurtureMamas. Congratulations on your pregnancy or new baby! I'm a Yoga and Active Birthing Instructor, and Prenatal & Postnatal Fitness Specialist. I like to put the Mama FIRST! My passion is to help women feel more comfortable in pregnancy, have easier births they can actually enjoy, and experience a smooth transition into motherhood, via the power of yoga, fitness, relaxation, meditation, positive mindset and active birthing techniques. Having had three fit, healthy pregnancies, and active, natural births myself, I know exactly how it feels to have an awesome pregnancy and enjoyable birth experience, and a quick and strong recovery. Over the years, I’ve been privileged to help over a thousand women through my popular yoga classes and birthing workshops in Dublin, Ireland. I set up NurtureMamas.com to help reach more women just like you, so that you can look after yourself and have the best chance at being fit and healthy throughout your motherhood journey. You can catch my writing over in the Blog section. 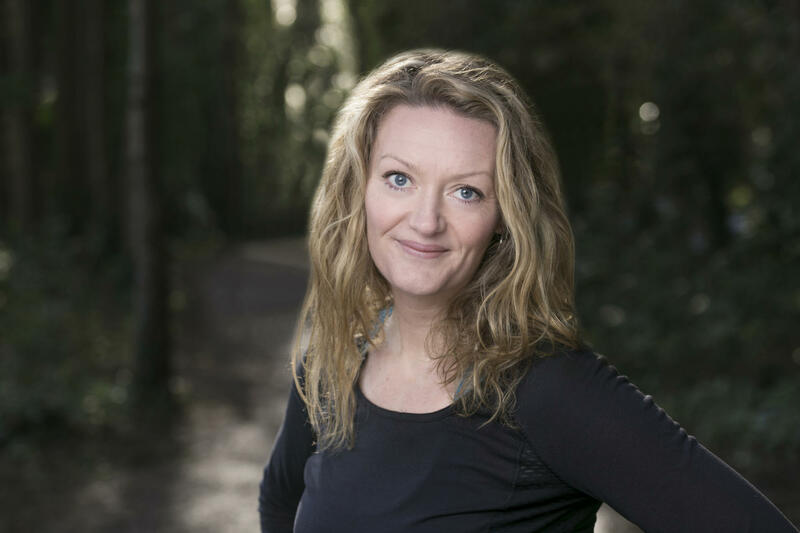 I'm also a contributor for The Huffington Post, Pre- & Post-Natal Health & Fitness expert for Cow & Gate Babyclub, and contributor to Maïa Dunphy's The M Word. Do you want an easier & more enjoyable pregnancy, labour & birth? Each Monday I'll send you tips, videos, expert interviews and more which will help you have the most incredible pregnancy, labour and birth. It IS possible! Want in? Yes, I want to receive email communications from you to help me! YES PLEASE - send me the goodies!